Abyss Blue PRO Pocket Aneroid - SHIPS FREE! 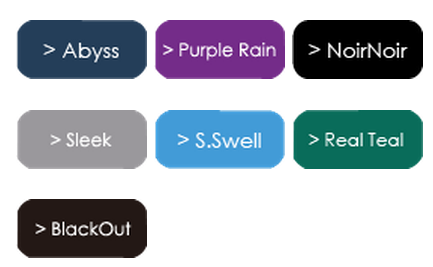 Purple Rain PRO Pocket Aneroid - SHIPS FREE! NoirNoir Black PRO Pocket Aneroid - SHIPS FREE! MDF CALIBRA PRO Professional Aneroid Sphygmomanometer with Double Bellows Pocket is the most popular blood pressure monitor. 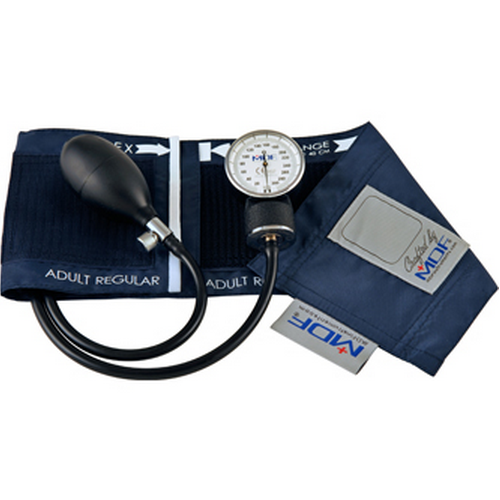 This Aneroid Sphygmomanometer is perfect for hospitals, nursing homes, clinics, and emergency medical settings. 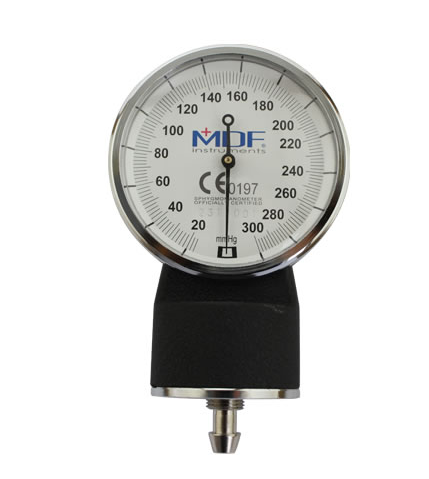 MDF Instruments has made handcrafted medical instruments in the artisan tradition by master craftsmen since1971. Gauge: The MDF Professional Aneroid Sphygmomanometer has a precise 300mmHg manometer attaining the accuracy of 3 mmHg without pin stop. The easily identifiable high-contrast dial is imprinted with both mmHg and kPa (kilopascal)measurements for instant conversion. The die cast zinc manometer housing is finished in textured baked enamel. The heavy-duty clip makes it easy to attach it to the gauge holder on the Cuff. 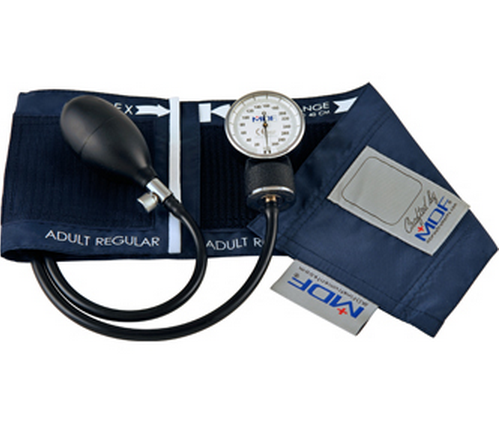 Cuff: The MDF CALIBRA PRO Professional Aneroid Sphygmomanometer with Double Bellows Pocket is abrasion, chemical (chlorine and peroxide) and moisture resistant. 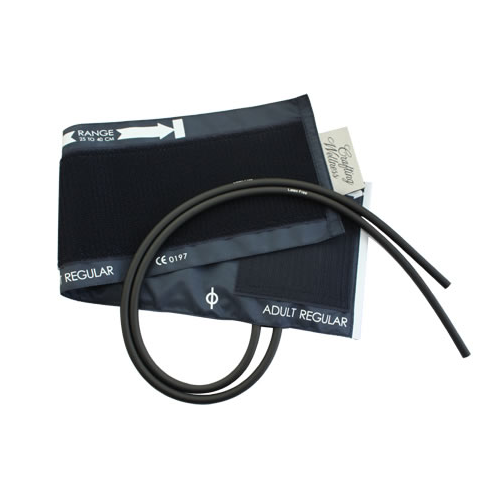 The adult Velcro® cuff is constructed of high-molecular polymer Nylon. The Professional Aneroid Sphygmomanometer meets the American Heart Association’s size recommendations. The artery indicator label and index range ensure proper cuffing to achieve correct arterial compression. The universal Bladder Tube enables compatible cuff exchange with all MDF and other branded BP systems. Inflation Bag: The double tube seamless Inflation Bag is constructed of crack & stick-resistant, high-density hypoallergenic latex-free PVC. The universal Bladder Tube enables compatible cuff exchange with all MDF and other branded BP systems. 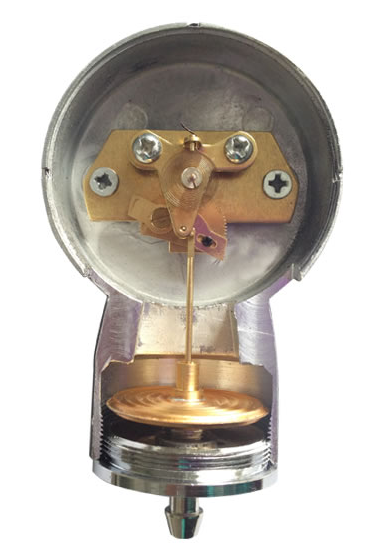 Inflation Bulb & Valve:Deluxe chrome-plated brass screw-type Valve with filter facilitates precise air release rate. The extra-large Inflation Bulb is constructed of crack, stick-resistant, high-density hypoallergenic latex-free PVC.